Welcome to the Silverman Lab! We are researchers who are interested in identifying, characterizing, and applying DNA as an enzyme. We use techniques and concepts from chemical biology, organic chemistry, biochemistry, molecular biology, and other disciplines to design our experiments and interpret our results. Please visit our Research and Publications pages for more information about our laboratory's activities. Please visit our People page to learn more about our laboratory's members. Great news for Caroline, who has earned an MCB SURF award to support her upcoming summer research in the lab! Congratulations to Caleb on High Distinction in Biochemistry upon his graduation! Good luck in your job at Eli Lilly & Company! Congratulations to former Silverman lab grad student Ben Brandsen, who will begin his independent position as Assistant Professor of Chemistry at Creighton University in Omaha, Nebraska in mid-2019! Welcome undergraduate Chemistry major Austin Huang to the lab! Welcome undergraduate MCB major Caroline Kaminsky to the lab! Welcome visiting Chemical Biology Scholar undergraduate Hannah Nilsson from St. Olaf College for the summer! Congratulations to Jim for a Summer Research Scholarship to support his chemistry research this summer! Congratulations to Tent on Highest Distinction in Biochemistry upon her graduation! Best of luck at Yale (Biological & Biomedical Sciences) for graduate school! Congratulations to Cong for his successful Ph.D. defense! Congratulations to Puzhou for his successful Ph.D. defense! Welcome undergraduate Chemistry and MCB double major James Brady to the lab! We are very pleased that Shukun will be joining us for her Ph.D. studies! Welcome incoming MCB (Biochemistry) graduate student Shukun Yang, who is doing summer research in the lab! Welcome visiting Chemical Biology Scholar undergraduates for the summer, Margareta Ianosi-Irimie from UMass Amherst and Sheila Franklin from Carthage College! Welcome undergraduate Biochemistry major Alexander Ruzicka to the lab! Congratulations to Paul for receiving the Carl S. Marvel Award for outstanding undergraduate thesis research at our department's graduation ceremony on May 14! Graduating senior destinations... Paul: UCSF (chemical biology Ph.D.), Adam: U. Chicago (biological sciences Ph.D.), Alice: UIUC (biochemistry Ph.D.), Nick: U. Colorado (biochemistry Ph.D.)! Congratulations to Jimmy for his successful Ph.D. defense! Welcome staff member Kevin Duffin to the lab! Kevin recently earned his B.S. degree in Molecular & Cellular Biology from UIUC. Welcome undergraduate Biochemistry major Caleb Brandmeyer to the lab! Congratulations to Shannon for her successful Ph.D. defense! Congratulations to Paul and Yujeong for their accepted manuscript in J. Am. Chem. Soc.! Congrats also to Ben, Cong, and Alice for their contributions. Puzhou's Angewandte Chemie manuscript on DNA-catalyzed modification of tyrosine in peptides is now available online. Congratulations Puzhou! Congratulations to Anthony and Ben on their ChemComm manuscript on DNA-catalyzed glycosylation! Thanks also to Shannon and Puzhou for their important contributions. Scott's review article on deoxyribozymes is published in Trends in Biochemical Sciences. Welcome undergraduate MCB major Tam Le to the lab! Congratulations to Paul for receiving a Dow Scholarship from the Department of Chemistry for his upcoming summer research! Congratulations to both Nick and Adam for receiving MCB SROP Awards for their upcoming summer research! Graduating senior destinations... Alison: Washington U. in St. Louis (developmental biology Ph.D.), Stephanie: U. Chicago (immunology Ph.D.), Yujeong: Stanford U. (chemistry Ph.D.)! Congratulations to Yujeong for receiving the Carl S. Marvel Award for outstanding undergraduate thesis research at our department's graduation ceremony on May 15! Congratulations to Alison for earning both High Distinction as a Biochemistry senior and the William T. and Lynn Jackson Senior Merit Award for undergraduate thesis research! Congratulations to Jimmy for his manuscript in Org. Biomol. Chem. on using histidine tags for recruiting deoxyribozymes to peptide substrates! Yujeong has earned Bronze Tablet honors as a graduating senior! Congratulations to Alison and Shannon for their manuscript in Biochemistry on DNA-catalyzed oligonucleotide 3'-phosphorylation! Thanks to Sarah for her contributions on this project as well. Congratulations to Yujeong for receiving an NSF Graduate Research Fellowship! Her choice of graduate school is forthcoming! Congratulations to Cong for completing his fourth-year original research proposal! Congratulations to Puzhou for completing his fourth-year original research proposal! Cong's manuscript on DNA-catalyzed amide hydrolysis is now in press at JACS! Congratulations to Cong, Josh, Paul, Ben, and Yujeong for this great story. Also see the C&EN article. Congratulations to former postdoc Claudia Höbartner, now Professor at University of Göttingen, on her recent Nature report of the crystal structure of the 9DB1 RNA ligase deoxyribozyme! Read the C&EN article and Scott's Faculty of 1000 evaluation. We are pleased to welcome Biochemistry graduate student Tianjiong (Yves) Yao to the lab! Yves was most recently at Brandeis University, where he obtained his master's degree. Congratulations to Ben for his successful Ph.D. defense! Yujeong has won a James Scholar Preble Research Award from the Honors Council of the College of LAS. Congratulations Yujeong! Congratulations to Spurti for passing her preliminary examination! Congratulations to Peter for passing his third-year preliminary examination! Shannon's manuscript on sequence-selective tyrosine kinase deoxyribozymes is now in press at Journal of Molecular Evolution, for their special issue celebrating 25 years of PCR-based in vitro selection. Thanks to Stephanie for her ongoing contributions to this effort as well! We are pleased to have Yves Yao and Andi Liu join us for their first MCB rotations for five weeks! Jagdeesh's JACS Communication on phosphoserine lyase deoxyribozymes is now online! Congratulations to Jagdeesh, and thanks to Adam for his contributions to this project. Spurti's manuscript on selective estradiol aptamers is now online at Environmental Science and Technology! Additional congratulations to Anthony for receiving an NSF Graduate Research Fellowship, which will support his Ph.D. study at Harvard! Congratulations to former Silverman Lab graduate student Amit Sachdeva, who has taken an independent faculty position as Lecturer in Bio-organic Chemistry at University of East Anglia, Norwich, UK! Welcome undergraduate Biochemistry major Nickolaus Lammer to the lab! Welcome undergraduate Chemistry major Sarah Suk to the lab! One more congratulations to Anthony, who received the Carl S. Marvel Award for outstanding undergraduate thesis research at our department's graduation ceremony on May 17! Miriam was recognized at the Celebrating High School Innovators award celebration this weekend, where Illinois Gov. Rauner congratulated all of the high school awardees. The News-Gazette featured Miriam in a story. Scott's article in Accounts of Chemical Research is now available online. Congratulations to Yujeong for receiving a Gieseking Scholarship from the Department of Chemistry for her upcoming summer research! Anthony has been named as our departmental recipient of the ACS Division of Organic Chemistry Outstanding Senior Organic Chemistry Student! After three years of undergraduate research with us, Anthony will be moving on to Harvard for their chemical biology Ph.D. program. We will miss you! Alison has received the William T. and Lynn Jackson Scholar award from the Department of Biochemistry, in support of her upcoming summer of lab research! Congratulations to Jimmy for completing his fourth-year original research proposal! Victor has accepted a position as Scientist I at Ariosa Diagnostics in San Jose, CA. Congratulations to Victor! Shannon has received an NIH NRSA predoctoral fellowship! Miriam has received a Celebrating High School Innovators award for 2014-2015. The award recognizes innovation by high school students in a broad range of science and arts disciplines and is sponsored by the iFoundry of the UIUC College of Engineering. This is a great honor for Miriam! Congratulations to Peter for his great chemical biology second-year literature seminar! Congratulations to Cong for passing his third-year preliminary examination! Congratulations to Puzhou for passing his third-year preliminary examination! Shannon gave an outstanding annual Biochemistry department research seminar on her experiments with kinase deoxyribozymes! All four of the lab's undergraduate Chemistry majors (Anthony, Yujeong, Paul, and Stephanie) have been awarded department scholarships. Congratulations! As this new academic year gets started: Scott's "Five Commandments of Organic Chemistry", from the files. Still valid! Welcome undergraduate student Xinyi (Alice) Li to the lab! Congratulations to Victor upon his Ph.D. defense! See some pictures in the lab photo gallery. Victor's manuscript reporting a modular tyrosine kinase deoxyribozyme with discrete aptamer and catalyst domains in now in press at ChemComm! Welcome undergraduates Alison Camden, Stephanie Konecki, and Adam Wylder to the lab! Jimmy's manuscript on DNA-catalyzed synthesis of peptide-nucleic acid conjugates has been accepted for publication at ChemBioChem! Congratulations also to Adrienne, who initiated this project. Ben's manuscript on DNA-catalyzed reaction of lysine side chains is now in press at Angewandte Chemie! Many thanks to Tania, Amit, and Nora for all of their earlier contributions to this effort. Former Silverman Lab postdoc Dana Baum has been promoted to Associate Professor of Chemistry with tenure at Saint Louis University, effective July 2014. Congratulations to Dana for her achievement! Congratulations to Jay, who has earned Distinction from the Department of Biochemistry upon his upcoming graduation! Congratulations to Darren, who has earned Highest Distinction from the Department of Biochemistry upon his upcoming graduation! Darren has also earned Biochemistry's Jackson Senior Thesis Award for best thesis, covering his work in our lab and more recently in Prof. Kalsotra's lab. See the great lab holiday photo that Ying created (again)! Congratulations to Ying for completing her Ph.D. thesis defense! Congratulations to Jimmy for passing his third-year preliminary examination! Welcome to the lab chemistry graduate student Chih-Cheng (Peter) Yeh, who joins us from National Taiwan University. Ben's JACS communication on deoxyribozymes that hydrolyze esters and aromatic amides has been accepted for publication. Congratulations to Ben, Anthony, and Marissa for their tremendous efforts on this project. Also, many thanks to Madhav for his earlier experiments, without which this work could not have been performed. Shannon and Amit's JACS communication on deoxyribozymes with tyrosine kinase activity is now in press. Congratulations on this important achievement for our lab! Welcome undergraduate student Yujeong Lee to the lab! Welcome undergraduate student Sherry Prichodko to the lab! Welcome undergraduate student Natalia Recko to the lab! Congratulations to Darren and Ying, whose JACS communication on DNA catalysis of a normally disfavored RNA hydrolysis reaction has been accepted! All four of the lab's Biochemistry undergraduates have received end-of-year honors: Nora and Tania with a level of Distinction in the Department of Biochemistry upon graduation, and Jay and Darren with MCB/Biochemistry summer fellowships. The lab is lucky to have such great students! Congraulations to Shannon for passing her Qualifying Exam in Biochemistry! Jagdeesh's manuscript is now online at PNAS, with a U of I News Bureau press release and a feature story in the March 21 edition of Inside Illinois. Jagdeesh's manuscript on catalytic DNA with phosphatase activity is now in press at PNAS. Congratulations to Jagdeesh! See the great lab holiday photo that Ying created! Congratulations to Jimmy for his excellent chemical biology second-year literature seminar! Welcome chemistry graduate students Puzhou Wang and Cong Zhou to the lab! Both Puzhou and Cong obtained their undergraduate degrees at Peking University. Tania and Jay's co-first-authored manuscript on the importance of random region length is now in press at ACS Combinatorial Science. Congratulations to Tania, Jay, Ying, and all who contributed to these experiments! Congratulations to Jagdeesh and Ben for passing their third-year preliminary examinations! Former Silverman Lab postdoc P. I. Pradeepkumar has been promoted to Associate Professor of Chemistry at Indian Institute of Technology Bombay. Congratulations to Pradeep for this milestone in his independent career! Congratulations to Ying for receiving the 2012-2013 Pines Graduate Fellowship from the Department of Chemistry! This fellowship "is designed specifically to support those students who have accomplished a significant level of success in research". Congratulations to Ying and Victor for receiving travel awards from the ACS Division of Biological Chemistry! They will both be presenting posters at the upcoming ACS National Meeting in Philadelphia. Congratulations to Ben for receiving a position in the NIH-funded Chemistry-Biology Interface Training Program! Welcome undergraduates Marissa Castner and Anthony Hesser to the lab! Farewell to John, Amanda, and Rebecca, who graduated this semester. John and Amanda are moving on to medical school, at University of Florida and University of Illinois, respectively. Rebecca will be joining Teach for America and teaching high school science in Milwaukee. Victor's manuscript on lanthanide-dependent DNA-catalyzed DNA hydrolysis is now accepted at Chemical Science. Congratulations to Victor! Congraulations to Spurti for passing her Qualifying Exam in Civil & Environmental Engineering! Congratulations to Amit for his manuscript now in press at ChemBioChem, reporting DNA-catalyzed covalent tagging of phosphopeptides. Thanks to Madhav and Jagdeesh for their important experimental contributions, which ensured that we had the highest-quality data for this publication. Welcome biochemistry graduate student Shannon Walsh to the laboratory! Shannon was a biochemistry major at Hartwick College in Oneonta, NY. Congratulations to Adrienne for her successful Ph.D. thesis defense! Congratulations to Victor for completing his third-year preliminary exam! Welcome chemistry graduate student Chih-Chi (Jimmy) Chu to the laboratory! Jimmy joins us from National Taiwan University. Congratulations to Jagdeesh and Ben for their strong chemical biology literature seminars! Congratulations to Ying for her manuscript on broadly general site-specific DNA-catalyzed DNA hydrolysis, now in press at Nucleic Acids Research! Congratulations also to Rebecca and Nora, who contributed to the selection experiments. Welcome to the lab our new undergraduate research students, Samantha Buhr, Mara Dubnow, Darren Parker, and Alexandra Rudolph! Congratulations to Adrienne for her accepted manuscript in Angewandte Chemie on DNA-catalyzed reductive amination! Also, thanks to Amanda for assisting with the identification of these deoxyribozymes. Congratulations to Amit for his forthcoming manuscript in Org. Biomol. Chem., describing an unusual DNA-catalyzed reaction identified during his efforts to catalyze lysine side chain reactivity. We also wish Amit well as he departs for his postdoc position with Jason Chin at the MRC Laboratory of Molecular Biology in Cambridge, UK. Welcome undergraduate Jay Singh to the lab! Welcome to our new postdoc Joshua Avins. Josh earned his Ph.D. in October 2010 with Virginia Cornish at Columbia. He continued working Virginia as well as Ruben Gonzalez as a postdoc until joining us this month. Congratulations to Amit for his successful Ph.D. thesis defense! Welcome undergraduate Tania Velez to the lab! Congratulations to Adrienne for her in-press Biochemistry manuscript, which is the first to report DNA-catalyzed modification of free peptide side chains! A special thanks to Pradeep, whose synthetic contributions were invaluable for enabling this work. Scott has been awarded the UIUC Campus Award for Excellence in Guiding Undergraduate Research. Congratulations to Ying for completing her third-year preliminary exam! Welcome to first-year chemistry graduate students Benjamin Brandsen and Jagadeeswaran Chandrasekhar! Ben and Jagdeesh join us from Calvin College and IIT Bombay, respectively. Welcome to postdoc Yun Xie, who joins us after recently completing her Ph.D. with Yitzhak Tor at UCSD. Congratulations to Victor for his excellent chemical biology literature seminar! Congratulations to Ying and Madhav for their manuscript on functional compromises in DNA-catalyzed DNA hydrolysis, now accepted for publication at Biochemistry! With the start of the Fall 2010 semester, we welcome Yoonhee Ahn and Amanda Mulcrone as new undergraduates to the lab. We also welcome Spurti Akki to the lab. Spurti is an incoming graduate student in Civil & Environmental Engineering, jointly supervised by Prof. Charles Werth in CEE. Christine and Tim's manuscript on improved deoxyribozymes for synthesizing branched DNA and RNA has been accepted at Nucleic Acids Research. Congratulations to Christine and Tim! Scott's review article in Angewandte Chemie, entitled "DNA as a Versatile Chemical Component for Catalysis, Encoding, and Stereocontrol", is now available online at the journal's website. Congratulations to Victor for receiving a position in the NIH-funded Chemistry-Biology Interface Training Program! Former Silverman Lab graduate student Yangming Wang, who is now completing his postdoc at UCSF, has accepted a position as Professor in the Institute of Molecular Medicine at Peking University, where he will begin in 2011. Congratulations to Yangming! Visiting graduate student Elena Pazos Chantrero from the group of Jose Mascareñas at the University of Santiago de Compostela (Spain) will be joining us from mid-June through mid-October. Welcome to Elena! Welcome undergraduate Rebecca Wehrmann to the lab! Congratulations to Ying for her great chemical biology literature seminar! Former Silverman Lab undergraduate Andrew Hoover, who is currently a first-year graduate student with Tobias Ritter at Harvard, has performed a scientific triple play: he has won graduate fellowships from each of NSF, DOE, and NDSEG. Way to go, Andrew! Former Silverman Lab undergraduate Timothy Mui, now a second-year graduate student with Jackie Barton at Caltech, was recently named as an NSF Graduate Research Fellow. Congratulations, Tim! Update: Amit's Chem. Commun. manuscript has been selected by the journal as a "Hot Article". Amit's manuscript on DNA-catalyzed serine side chain reactivity and selectivity has been accepted at Chem. Commun. Congratulations to Amit! 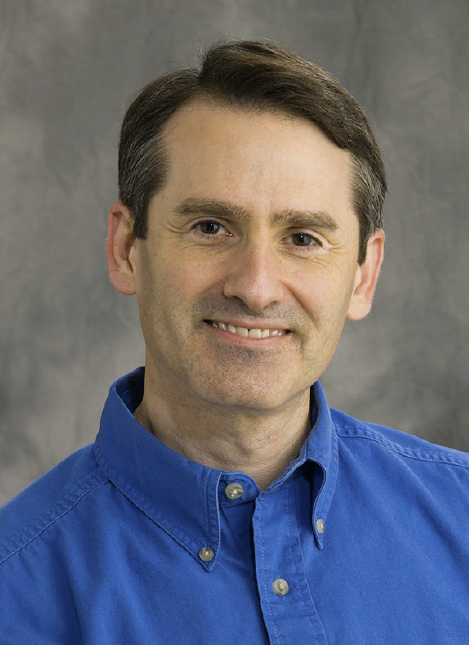 Scott has been named the 2010-2011 LAS Professorial Scholar by the U of I College of Liberal Arts and Sciences. Congratulations to Mary, whose guanine riboswitch folding manuscript (with first author Michael Brenner and third author Michelle Nahas, both from Taekjip Ha's lab) is now in press at Biochemistry. Congratulations to former Silverman Lab undergraduate Kimberly [Peterson] Kaufman, who has earned her Ph.D. (chemistry) with Sam Gellman at Wisconsin! Kim will be a postdoc in the lab of Aseem Ansari at Wisconsin. Also, belated congratulations to former undergraduate Brian Smith, who earned his Ph.D. (chemistry) with John Denu also at Wisconsin last August and is now a postdoc at UC Berkeley with Michael Marletta. Kim and Brian are the first two Silverman Lab undergraduates to obtain their Ph.D. degrees! Welcome Emily, Nora, and Sarah to the lab! Listen to Scott's nine-minute podcast from August on the Genetic Engineering & Biotechnology News website. The topic is DNA-catalyzed DNA hydrolysis, as reported in the lab's recent Nat. Chem. Biol. manuscript by Madhav and Amit. Welcome to the new Silverman Lab webpage!